Recently the Reserve Bank of Zimbabwe hosted a discussion on the introduction of bond notes in which the Governor had to field a barrage of candid questions and comments from citizens of diverse backgrounds who were unequivocally against the bond notes. In one of his various attempts at rebuttal, Dr. Mangudya said Zimbabweans are not entrepreneurial. This drew immediate protest from the audience prompting him to then ask “Who here is an entrepreneur?” 90% of hands in the room shot straight up. His follow up question then toned down the levels of self-approval. “How many of you are exporters?” In response, 90% of the hands in the air fell down! The hallmark of Zimbabwe’s economic crisis is that imports far exceed exports as the country’s industrial sector faces extinction. Therefore, we are desperately in need of a special kind of entrepreneur – the one that brings in foreign currency into the country! As a medical practitioner, mine was one of the hands that shot up, citing the family clinic I set up as evidence of entrepreneurial drive. However, I obviously fell short of the governor’s criterion. Without venturing into mining or farming how else can doctors be exporters? More precisely how can the medical field earn foreign currency to replenish our emaciated NOSTRO accounts? The answer is Medical or Health Tourism! Currently, more and more Zimbabweans are going for medical treatment or surgery outside the country. A popular destination for kidney transplants, heart surgery or cancer treatment is India where the services are much cheaper. Of course, those with money are even flying to Singapore for childbirth and cataract surgery! We need a reversal of that trend creating more arrivals and less departures. Zimbabwe is already a prime destination for tourism but we can also set it up as a prime destination for medical tourism. We can offer the world the unique opportunity of recovering from surgery whilst basking in the African sun, watching a grazing herd of zebra and giraffes. Zimbabwe has a lot of doctors in the diaspora who have gained the necessary skills and experience working in such regions as the U.K, America, and Australia. With the help of friendly policies and regulations, they can relocate and draw their clients to picturesque Zimbabwe! Apart from regulatory framework changes and state of the art medical equipment, the development of Medical Tourism depends heavily on ICT contributions. Here is how. Medical tourism highly depends on elaborate, informative and well-designed websites on which medical centers can showcase the services they offer. Realizing this, Germany set up an internet portal that provides an overview of the country’s healthcare industry. Health made in Germany provides information about companies and organizations and the wide range of services they offer to health care tourists. This is quite an aggressive marketing tool. On LinkedIn, I have received numerous connect requests from representatives of medical companies in India who hope for Zimbabwean doctors to refer patients to them. Through their Facebook page, Belvedere Medical Center managed to help tourists passing through the Harare access medical care. Comprehensive telehealth platforms allow transfer of electronic medical records enabling doctors in different continents to collaborate in taking care of the same patient. X-ray and CT scan images can be sent back and forth. Blood pressure and heart electrical activity can be remotely monitored in real time! Surgical procedures cost well into the thousands of dollars. Patients coming for treatment cannot be expected to carry the cash. For medical tourism, Paypal will have to enable Zim businesses to open merchant accounts. It is essential to overcome language barriers between doctors and tourist patients. China is a huge non-English speaking market. The Stanford Research institute reported Chinese medical tourists spent USD10 billion in 2014! Besides hiring translators, innovative technologies can assist. QxMD software solutions has a range of language apps called Medspeak. The one for Mandarin enables a doctor to ask for general symptoms in a simple yes or no fashion. A key strategy to overcome language barriers is to ensure that websites have multilingual options. Health-Made in Germany has an Arabic version of the website because Germany has become a preferred destination for medical tourists from the wealthy Gulf States. The economic disaster that we are going through as Zimbabweans has forced us to be entrepreneurs as we have to seek for ways to keep our dreams alive. However to put an end to this quagmire we need to go a step further. We need to become exporting entrepreneurs by creating products for the world market. With the help of tech entrepreneurship, Zimbabwe can and should be a Medical Tourism hub. yes but medical tourism has long term investments. and the gvt policies don’t encourage people who wish to stay for the long haul. but yes we can offer good medical services the professional snare there etc. but do people think they can actually benefit is the issue. so until then we have hustlers. I beg to differ! The use of term ”Medical tourism” here looks very misleading, or incorrectly imposed. 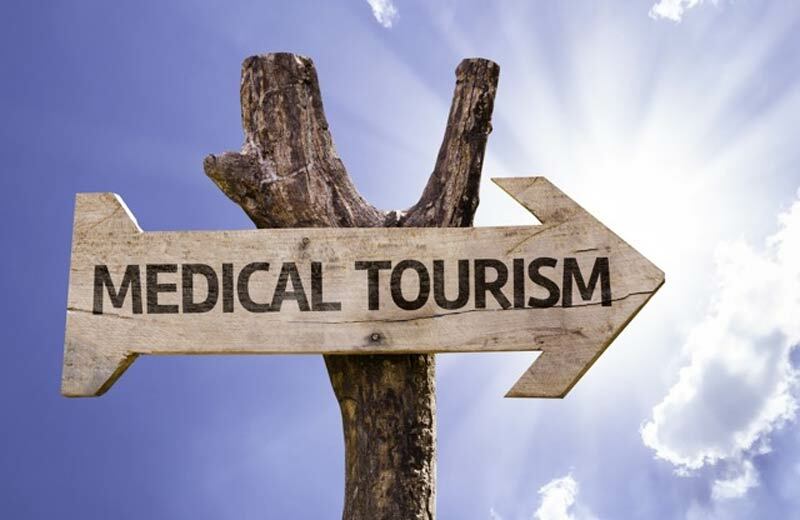 Medical tourism is when individuals travel to a country specifically to get medical attention and help, like what most Zimbos do when they travel to SA hospitals and else where to get help, its not about someone who happens to be in Zim for different reasons, fell sick and start to look for a better hospital in locally to get help immediately. Zimbabwe is a broke country which have NO facets for medical tourism. If you visit some of the so called best medical centers like Avenues, Parerenyatwa private sections, Beynes etc, its like you visited a 1920s facility compared to their counterparts elsewhere. The attitude of nurses, corrupt activities of doctors(trying to refer you to their private clinics) leaves a lot to desired. It’s good to see that Zimbabwe is gearing up for medical tourism but I feel a lot has to be done in order to make a place for itself in medical tourism market. There are already big competitors which dominates medical tourism so Zimbabwe needs to come up out of the box idea so make an impact on market.